So adorable and ridiculously easy to make! Just place the poms on the pre-sewn shapes and iron the back side to secure the special adhesive. Next, stuff them to complete an adorable owl, penguin and fox. It's cuteness gone wild! Ages 6+. 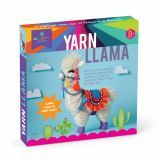 Fall in llama llove with this adorable yarn llama! 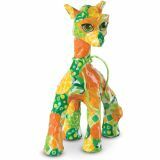 Just assemble the cardboard form, wrap it with yarn, and dress it with a colorful bridle and blanket. No prob-llama! 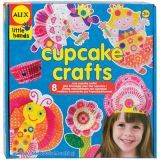 Create 8 cute cupcake crafts including fairies, flowers, and a princess crown. 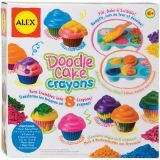 Comes with lots of cupcake liners, over 100 stickers, paper shapes, chunky glue stick, and easy picture instructions. 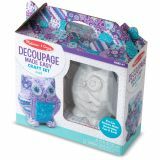 A new way to decoupage that is easy and clean! 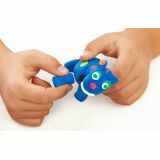 Each kits has an adorable paper-maché animal figure and pre-cut round stickers in different sizes and patterns. 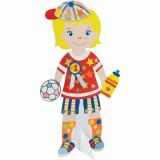 Press the stickers on in your own overlapping designs, then coat with glitter decoupage glue. Finish with expressive sticker eyes! Ages 6+. 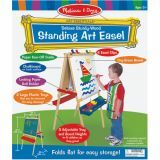 Help spark creative expression in your budding artist with this generously sized, deluxe wood­en easel featuring both a magnetic chalkboard and a dry-erase board. 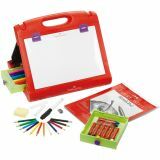 The removable plastic trays mean that kids have loads of easy-reach art supplies (not included) at their fingertips. Plus 39 letter and number magnets that are great for extended play! Ages 3-6. 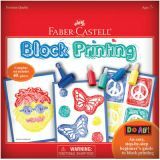 Get your art on with an easy step-by=-step beginner's guide to block printing.Using foam block printing sheets (8 included) and washable paint, you'll learn to make multiple prints of your own design. Rollers, tools, 20 sheets of printing paper, pattern sheets and more included. Ages 7+.